Say "Hello" to spring with this refreshing pedicure. This pedicure includes hibiscus flower & orange peel sugar scrub with warm steam, hot towels, and citrus oil massage. 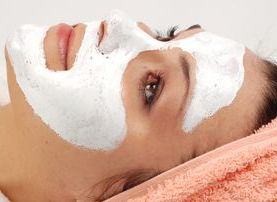 This facial includes a bubbling detox wash, ultrasonic deep pore cleanser, moisture mask,warm serum press finishing with a invigorating facial massage.